When my boyfriend asked me to marry him I was delighted, so we thought we’d just get though Christmas, then start planning for a summer wedding. The new year came and went, we rapidly realised that my boyfriend had no interest in planning a wedding (he just planned on showing up)! I was working and travelling so we realised that this wasn’t going to happen in the summer of 2015 without some external assistance! Kate was recomended to us by a friend, so we knew we could trust her with our special day. So we hired her to be our wedding planner. She quickly set about getting brochures from local venues and photographers and called them to discuss visits and prices. We gave her our schedules and she just set up the appointments for us to attend with both venues and photographers. The time this saved me was incredible. 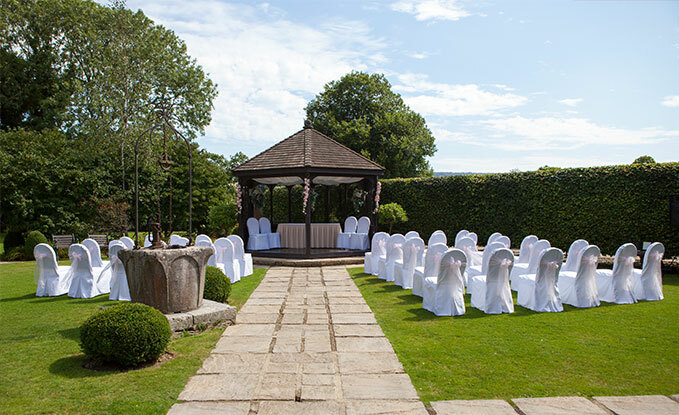 When we chose our venue, Kate set about negotiating with them to get us the best price. On this alone she saved us more money than her fee, anything else she did for us at this point was massively time saving for me and essentially free! She asked us what we’d like for decoration and then set about contacting decorations hire companies, and dealing with the hotel on our behalf to arrange cutlery, linens, crockery, cake stand, chair covers etc. She also negotiated extra rooms for our parents for no extra cost at the venue. She even arranged for a pedicure and massage for me the day before the wedding so I was relaxed and well rested. We set up the room together the night before and I went to bed and slept like a log. On the day, I knew I didn’t have to worry because Kate was dealing with everything. The day went like clockwork, with Kate even managing to deal with an unexpected guest, and arranged for the hotel to make an extra meal up for him. I can honestly say that both my husband and I had a lovely relaxed day, it was great to not have to worry. The hotel knew not to bother us with problems, Kate was there to speak to, and she just sorted it out. We really enjoyed our wedding, we appreciated not worrying or being rushed from one place to another, we really appreciated Kate taking the strain of organising and coordinating. Hire Kate to plan your day, she’ll save you a huge amount of stress and she might just save you more than she costs! You won’t regret it. Everyone commented on what a chilled out bride I was and I can honestly say that it was all down to Kate!